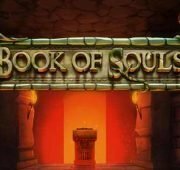 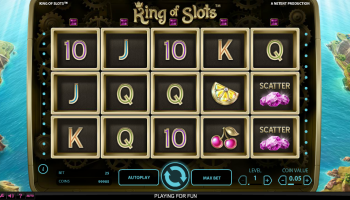 King of Slots video slot is an exclusive fun game developed by NetEnt featuring Win line re-spins, substituting Wild symbols, Scatter symbols and a Free Spins mode with a winnings multiplier. 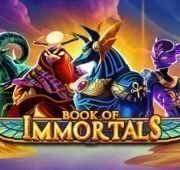 Only in game rounds during the main game (both in normal rounds as well as in Win line re-spins) Wild symbols, depicted as a blue gemstone, can appear randomly anywhere on the reels. 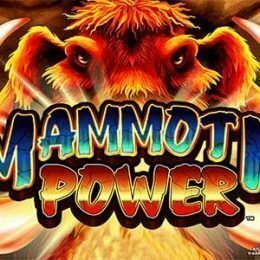 Wild symbols will substitute for all other symbols, except for Scatter symbols, to thus create the highest paying win line combinations. 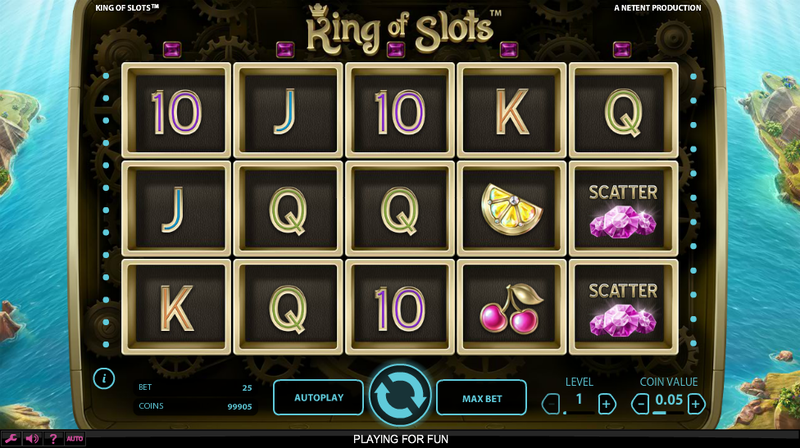 In video slot King of Slots all 15 positions (‘symbols’) on the play screen act as if they were separate reels spinning during a game round. 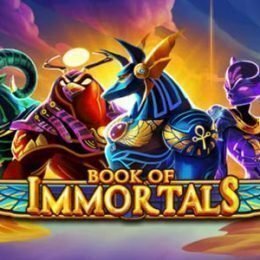 So whenever, both during the main game as well as during the Free Spins mode, a winning bet line is formed the symbols of that winning combination will stick to their positions (like an overlay) while a (free) re-spin of the other symbols follows. 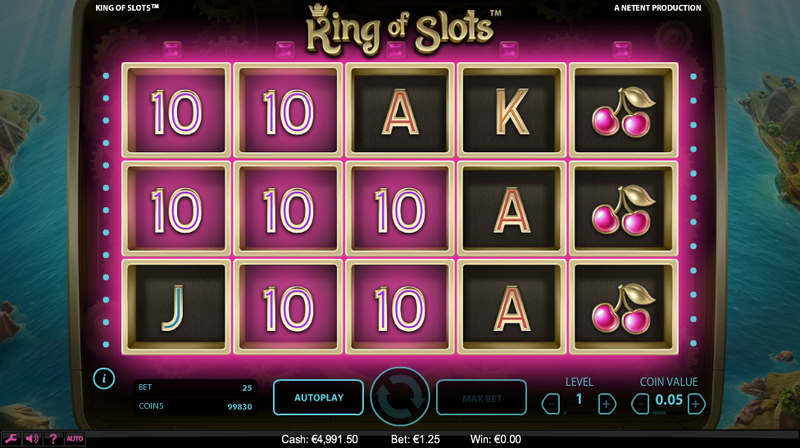 As long as new winning bet lines consecutively keep appearing after a re-spin also a new re-spin is granted. 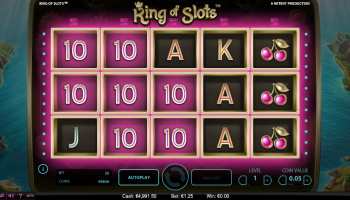 Scatter symbols in video slot King of Slots are depicted as three pink diamonds and if 3 or more of those Scatters appear anywhere on the reels simultaneously after a spin during the main game the Free Spins mode with 10 Free Spins will be activated. 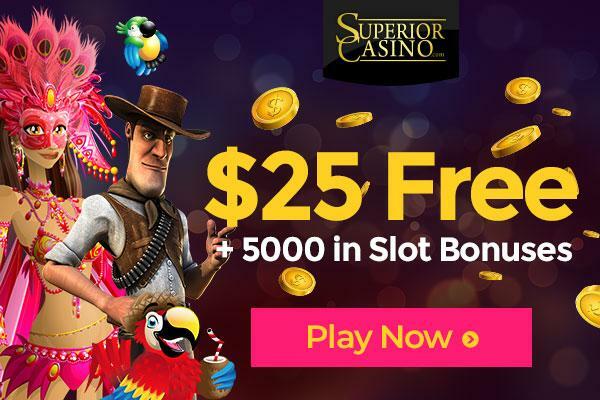 Free Spins activated by 3 or more Scatter symbols as described above are always played with the same bet level and coin value as was played with in the game round that triggered the Free Spins mode. 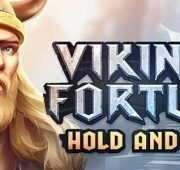 In case in the Free Spins mode again 3 or more Scatter symbols simultaneously appear anywhere on the reels again 10 extra Free Spins are granted that will be added to the remaining amount of Free Spins. All winnings from Free Spins game rounds are multiplied by 3 (x 3) and as stated above in Free Spin mode also the Win line re-spins feature will be applied. 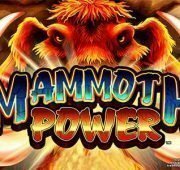 Select your bet size, number of paylines that you’d like to play, and spin to win!